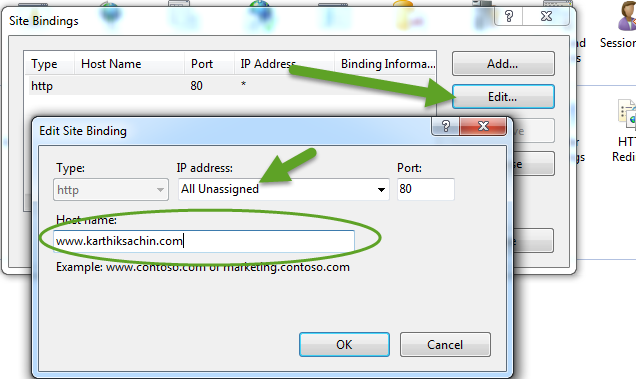 In this article, the author is going to cover how to map the user-friendly host name with its corresponding IP address using Host File in IIS. 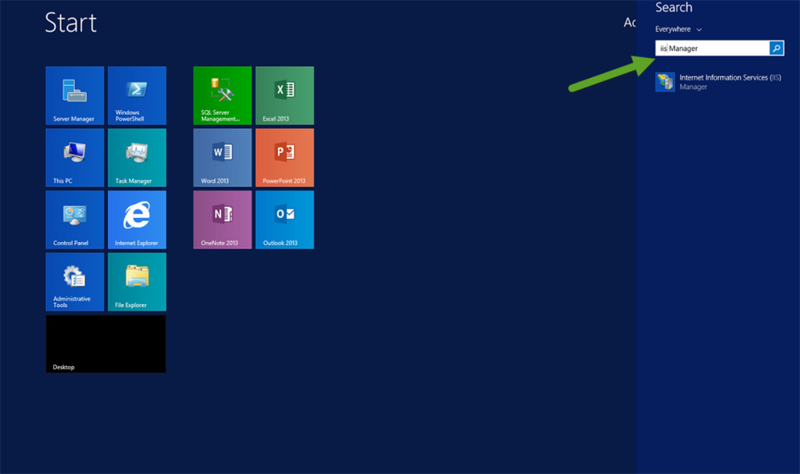 In this article, I am going to cover how to map the user-friendly host name with its corresponding IP address using Host File in IIS. 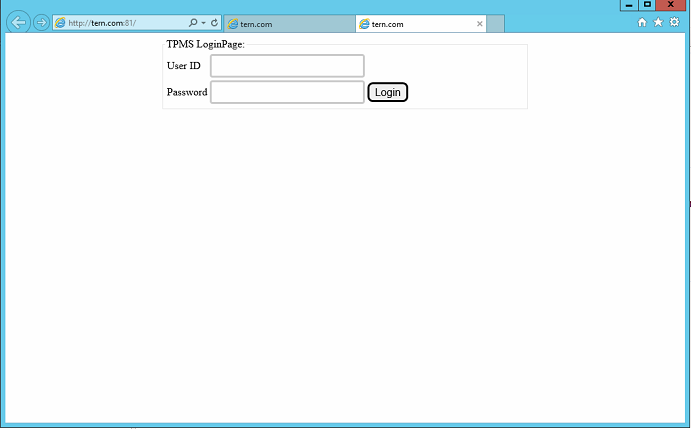 A few days back I got a requirement to change the IP address of our locally hosted website in IIS 8 of Windows server 2012 R2, since it was difficult for the client to remember the IP address every time. Let's see step by step how can we achieve this. 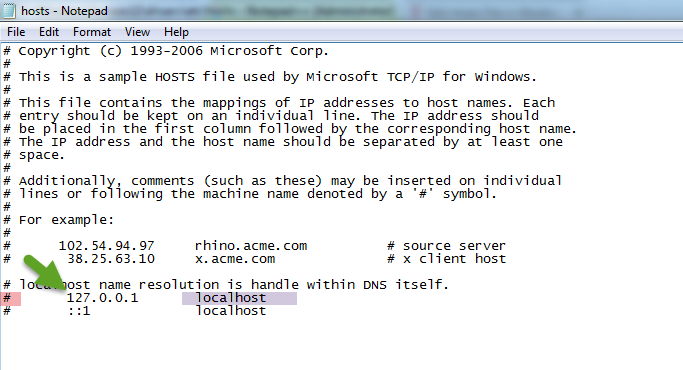 In simple words, Host file is like a telephone directory which will contain the number(IP Address) and associated address(Host Name). So when you give a Host name like www.google.com into your browser, then the Host file is started to see if you have the IP address for that site. If you have, then your computer will get it and act accordingly, otherwise, it will ask the details to the ISP. 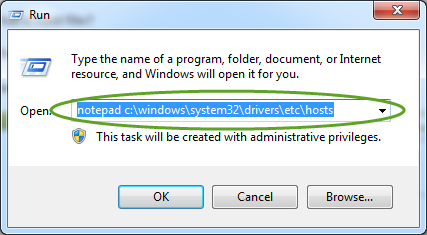 The path to the Host file in Windows is %systemroot%\system32\drivers\etc\ where %systemroot% is usually c:\windows unless you installed Windows on a different partition. 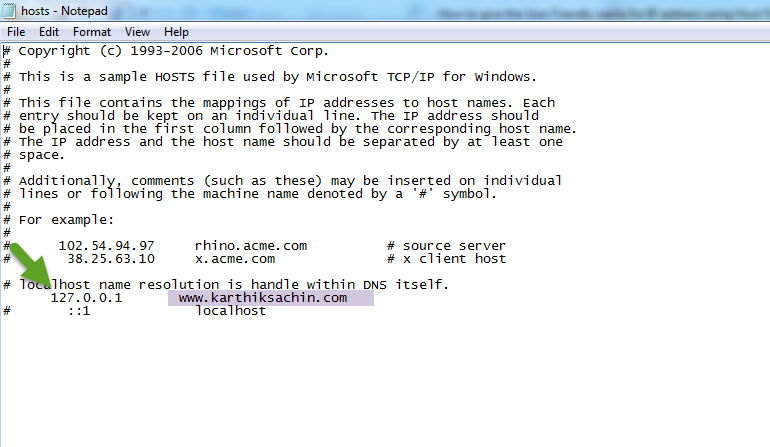 So the same can be written as c:\Windows\System32\Drivers\etc\hosts. 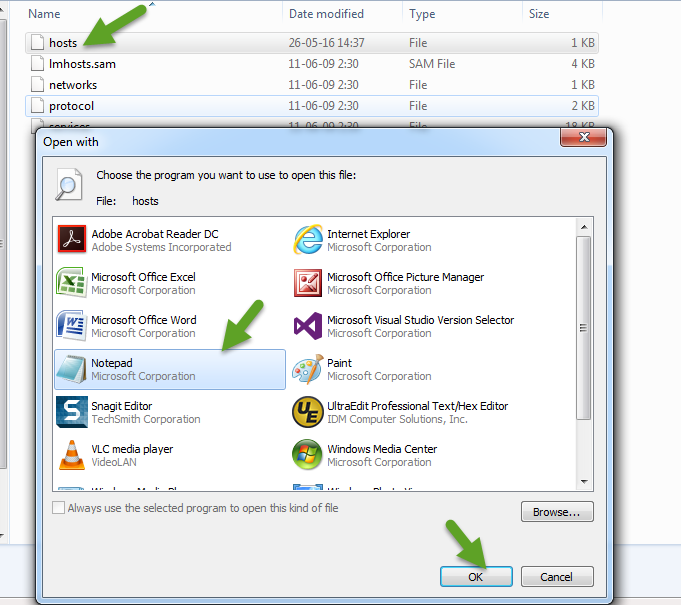 Step 1 - To access the host file in Windows 7 you can use the following command in the Run Line to open notepad and the file. Note: Make sure you have taken the # symbol from that line because it denotes comment. That's it from the host file point of view. I hope the above information was a little bit helpful. Kindly share your valuable comments or feedback.